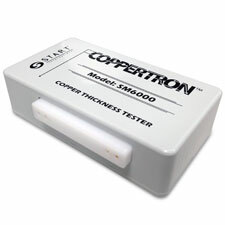 SM6000, Coppertron, Copper Thickness Tester for PCB Copper Laminate. 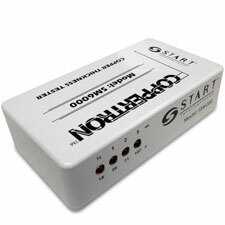 By START International. 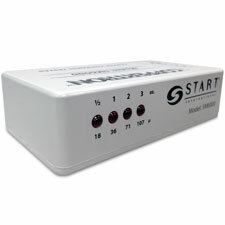 The START International SM6000 Copper Thickness Tester instantly and precisely measures the thickness of copper foils. Measures 1/2 oz. (18 µ), 1 oz. (36 µ), 2 oz. (71 µ), and 3 oz. (107 µ).